22. Apr 2019, 16:50 Hallo Gast. What's your favourite quote (not necessarily from lotr) and why? What's the meaning behind it that pulled you towards it? Starting off, my all time favourite quote of any work of literature is Faramir's (the one in my signature). It's the best depiction of human nature especially at times of war. I came to greatly appreciate it after the start of the nightmare here in my country. The thing is, in almost all wars, there's no good side vs an evil side. The act of war by itself is evil, but that doesn't mean that the humans fighting in it are evil or good. In many cases both sides have good reasons to fight, usually for the selfish good of their people, but people always fail to understand that there's no winner in war. everyone loose something because war exposes the monstrosity of humans regardless of their beliefs. The killing of another human being is the most horrible crime, and war "will make corpses of us all!" 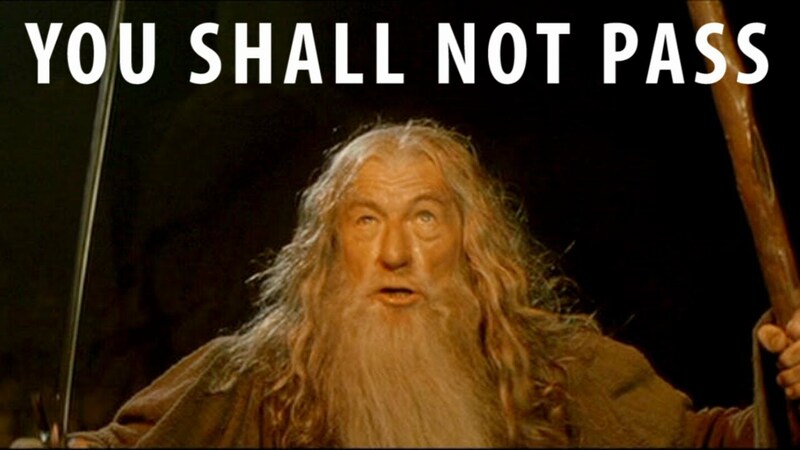 you shall not pass because im gandalf and you know what that means !!! “Many that live deserve death. And some that die deserve life. Can you give it to them? I bid you stand, Men of the West!!!" The quotes from my signature as they are very inspiring to me. Seite erstellt in 0.296 Sekunden mit 25 Abfragen.